CLUB/BUSINESS COPYRIGHT OWNERSHIP IS THE CUSTOMERS RESPONSIBILITY, PLEASE ENSURE THE LOGO IS YOUR COPYRIGHT. Unless you have paid separately for the designing of your exclusive motif, or supplied it to us in design stitch format/ vector file, ie on a computer disk, this motif remains the property of Top Gear Promotional Clothing. You can at any time, purchase the property of the motif, for the cost of £15.00 or £10.00 for the vector format. If you do use the motif for a period of 2 years (or less by mutual agreement), we will assume that you no longer wish us to keep it for your exclusive use. In this case, to offset the design costs that we have invested, we reserve the right to use this motif (if suitable) as a stock motif, or if not suitable for re-use, to delete it from our computer file. There therefore could be a re-design cost, if at a later time (after 2 years) you want us to reinstate the motif. Damaged or opened cartons must be checked or refused on delivery. Please note delivery dates quoted are a guide only and will not be legally binding unless specified as part of a contract. Please contact us within 3 days of receiving any shorfalls, damaged etc.. Please check that your shipping address is correct, Top Gear Promotional Clothing is not responsible for customer provided information. We mostly use Royal Mail 2nd Class for smaller deliveries, and occasionally use Hermes/UPS for larger quanties. 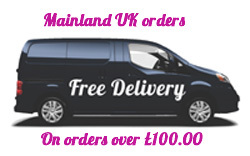 Please visit their websites for delivery guides based on which delivery method you may have chosen when placing the order. A dispatched email will be sent to let you know when your goods are on their way. Top Gear Promtional Clothng reserves the right to alter prices and garment specifications without prior notice. All items remain the property of Top Gear Promotional Clothing until paid for in full. Returned cheques will be charged at £2.00 per representation. Due to the customised nature of the products, refunds are not available on customised orders unless the products are defective. If you believe your products are defective you must contact Top Gear Promotional Clothing immediately. Please ensure that all designs/text are correct when placing an order. We cannot refund if you have sent incorrect text , we can only refund/exchange if we have made the error. On non embroidered/printed items there will be a minum charge of £25.00 or 15% whichever is the greater value for re-stocking. Written notice must be given to us via email within 7 days of receiving the goods that you wish to return the goods and state the reason for returning or you have the right to cancel within 7 days via email . If you decided to send the goods back with no written notice then we have the right not to accept the goods back. Returns will not be accepted if products have been used, worn or washed. Refunds will be credited less carriage charges (occcured when returning) if returned in good condition within 7 days. Whilst dispatch or collection or delivery lead times may be indicated to the Customer in good faith at the time of enquiry, goods offered are subject to actual availability at the time of order processing and Top Gear Promotional Clothing accepts no responsibility for any delay in supply whatever the reasons. COMPLETION OF ORDERS IS DEPENDENT ON THE AVAILABILITY OF GARMENTS FROM OUR SUPPLIER. IN THE EVENT OF A TEMPORARY NON-AVAILABILITY, WE RESERVE THE RIGHT TO EXTEND THE 15 WORKING DAY COMPLETION PERIOD. OR IF THE COMPLETE ORDER IS REQUIRED WITHIN 10 WORKING DAYS, TO MAKE AGREED SUBSTITUTE GARMENT CHANGES. CLOTHING IS NOT KEPT IN STOCK DUE TO THE VAST RANGE, BUT ORDERED FROM OUR SUPPLIERS ON TUESDAYS AND FRIDAYS. We may send a cookie which may be stored on by your browser on your computer's hard drive. We may use the inforamtion we obtain from the cookie in the administration of this website, to improve the website's usabilty and for marketing purposes. We may also use that inforamtion to recognise your computer when you visit our website, and to personalise our website for you. (j) deal with enquiries and complaints made by or about you relating to the website; We will not without your express consent provide your personal information to any third parties for the purpose of direct marketing. All electronic financial transactions you make to or receive from us will be encrypted using SSL technology as provided by PayPal payment processing and Google Checkout.